Everyone who needs to log time or be scheduled to jobs in Fergus needs a login. 🔑 Change password: use this to change the user's password if they've forgotten it. 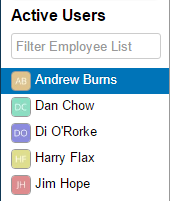 👤 Change user type: change the user to another role such as Timesheet or Full user. ❌ Disable the user: use this if the user is not doing work for a while or they've left. ✏️ Change username: change the username / email that the user uses to login. 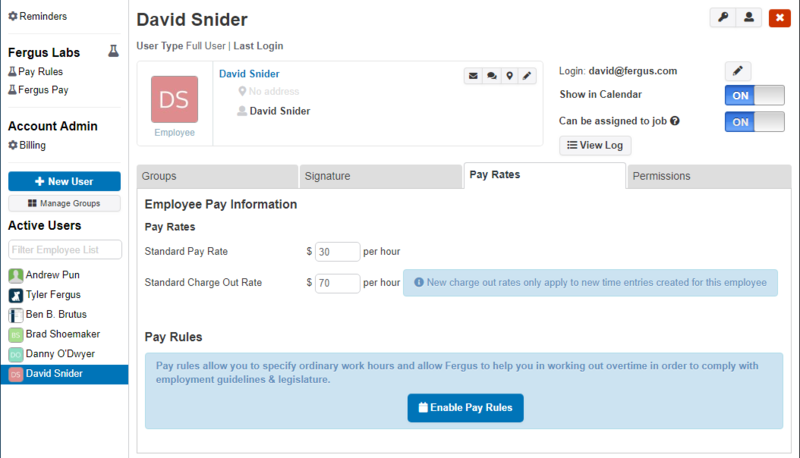 Use the tabs along the bottom to assign the user to groups, view their pay rates, adjust their permissions, and view their signature.